Whatever it could be, smart warehousing is almost always intended to drive up profit margins and to keep prices competitive – both of which ultimately help retain current customers and attract new ones. It is good to realize that you cannot stock something to please everyone. Therefore, be selective and offer fewer styles and maximize sales. Traditionally, warehouses have distinct packing and shipping stations. In this model, the order is first picked and brought to the packing station, and then it’s sent to the shipping station from where it’s shipped. There is no reason why these two tasks can’t be simplified and integrated into one. Why not integrate with shipping agents who can directly pick packed parcels from the warehouse itself. To keep a track of your outgoing or incoming inventory, an efficient cloud-based inventory management software can be of great help. Not only such a software can provide integration with your preferred shipping partner, but it also helps to create picklists, print shipping labels and track inventory on the go. 3: Implement Barcode Inventory System. Now. While barcodes have been in use for a long time in shipping and manifesting systems, many businesses still don’t use barcodes for warehouse management. 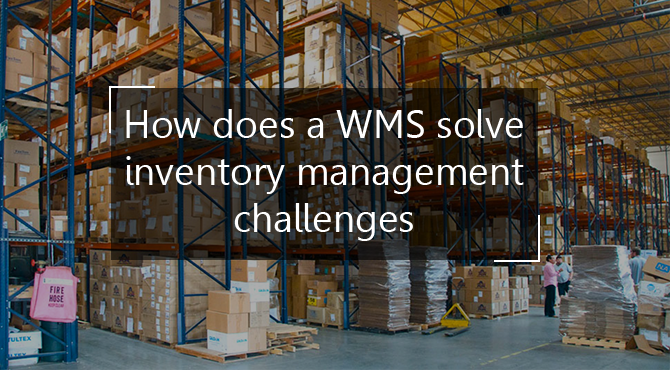 Well, that’s not great, because the barcode inventory system is the most basic automation your warehouse deserves in place – to reduce costs and increase control of your operations. Stock movement can be tracked simply by scanning the barcode during an array of activities such as receiving, putaway, replenishment, picking, packing, shipping, returns, cycle counts, as well as labor handling. Warehouse management – all in one scan, as simple as that! Cycle counting is an efficient and cost-effective inventory auditing practice where a small subset of inventory, in a specific location or the warehouse, is counted on a specified day. 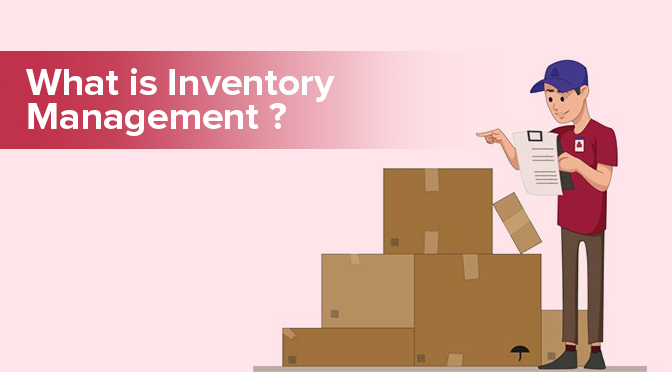 This is to ensure the accuracy of inventory without having to count entire inventory and the result of which can be used to infer results for total inventory. The cycle count is usually conducted on an ongoing basis, often weekly or monthly, hence is less unsettling than a full physical count which requires shutdown of day-to-day functioning. Fast-moving and more expensive items can typically be counted more often than slower moving and less expensive ones. While daily systems, such as your barcode inventory system, are important for optimized daily operations, cycle counting helps keep everyone in tune with keeping a well-organized warehouse, adding the human element in the process. 5: Use Kanban Inventory Approach – Go Lean! Adopting a Kanban or lean inventory approach for your warehouse is just as important as it is in manufacturing. The basic premise of a Kanban system is – “stock or produce only what you need, and nothing more”. 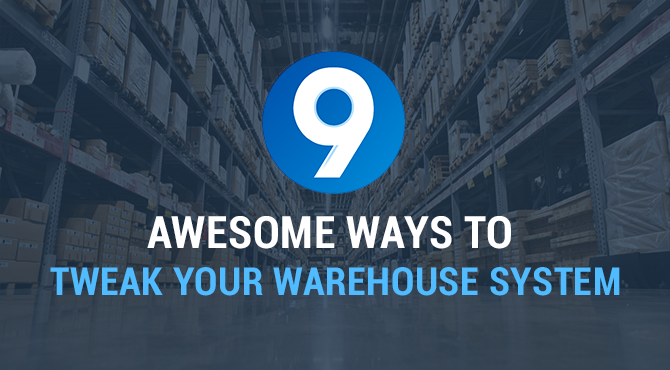 With this system, you are always aware ‘what – when – how much’ to stock in the warehouse. It takes into account supply Vs demand using sales forecasts as well as the entire order fulfillment process, keeping the stock levels optimized at every stage in the value chain. You can hence avoid any kind of supply disruption or overstocking in the warehouse since there is no incoming of the stock unless & until there is a space for it. FBA is the most hassle-free way to run a retail business. If you register your products for FBA (Fulfillment By Amazon) program, you only list and sell products on marketplaces, while your orders are entirely fulfilled by Amazon. Amazon stores your stock in its fulfillment centers, picks & packs your order items, and ships them to your customers. You don’t even need to worry about customer service or returns. And this is not limited for Amazon – you can also use FBA to fulfill orders from multiple marketplaces or selling channels (even your own e-commerce store) under Amazon MCF (Multi-channel Fulfilment program). Amazon becomes your warehouse as well as fulfillment agent – while you can relax and focus on other important aspects of running your business. BigCommerce’s Omnichannel Retail Report found that 80% of buyers ranked shipping cost and speed to be “extremely influential” in where they shopped. Dropshipping has proved to be a boon to retailers who don’t want to invest in the stocking, shipping and tracking inventory. It is a retail fulfillment method that allows you to operate without owning a warehouse to store the products you sell or having to ship products to your customers. 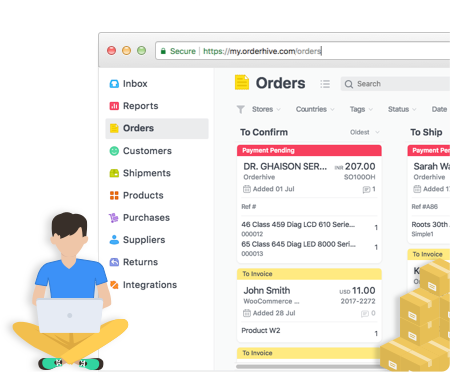 Instead, you partner up with a dropship supplier who either manufactures or warehouses products, has complete inventory control, and ships it directly to your customers. You actually never see or handle the product; all you need is a laptop and internet connection to keep the track of incoming orders. With the right motivation, you can create the warehouse of the future, today itself. When deciding how you can optimize warehousing, list all your processes and analyze each one. Determine what part of the operation is really required, and also ask why it is required. Also, examine whether there is a scope of improvement in each part. Employ the best practices and ideas suitable to your business kind, and as you move forward, constantly evaluate how your productivity and efficiencies are improving. Observer of small things. Hasn’t been able to choose between mountains and beaches yet. Chose written words to express herself. 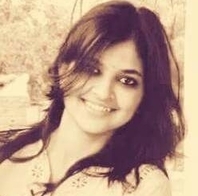 Writes and edits for Orderhive, which is simple & smart inventory management software.